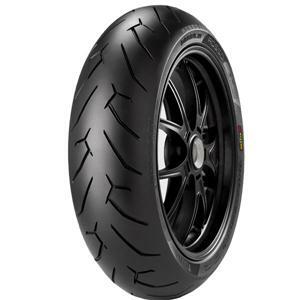 CBR500R tires are probably the single best improvement that can be made for the CBR500R. The more grip your CBR500R has the faster you can ride it.CBR500R tires will allow you to take the stock bike to it's limits and improve your riding skills. Before installing performance parts on the CBR500R the full potential should be realized frst to see just what exactly the bike is capable of. 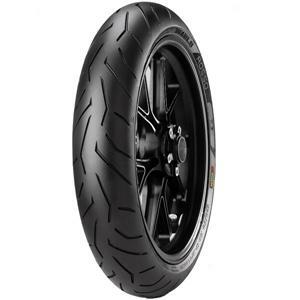 Goog CBR500R tires will allow you to enter and exit corners faster inspiring confidence and improving your riding skills. If tires for the CBR500R are too large this will not usually offer better control. Installing tires that are too large will result in lower top end speeds and slower acceleration do to the additional spinning mass of the larger tire. Furthermore tires that are too large will result in slower turning performance. CBR500R tires which are too large can also result in unwanted brake chatter and skipping of the rear tire.We strongly recommend using the Pirelli Dialo Rosso 2, it not only provides excellent grip in both dry and wet , but is also a lightweight tire that will help improve acceleration and top end speed.